Today we spotted this seasons first pod of migrating Humpback Whales heading up the coast past Margaret River. They are headed North to feed and breed. 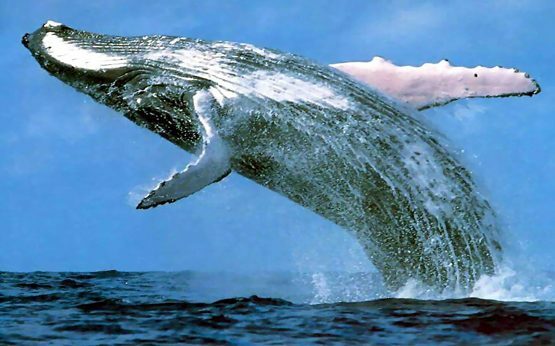 The Humpback whales that visit Australia’s coastal waters spend their summer months feeding in the Antarctic. With the onset of the southern hemisphere winter the Humpbacks migrate an average of 2,500km from polar waters to their tropical breeding grounds, undertaking some of the longest migrations in the animal kingdom. Although similar migrations of the same species occur in the northern and southern hemispheres, the two populations never interbreed, even where they use the same equatorial breeding waters, because the northward and southward convergences on tropical waters occur six months apart. Whereas most migrating whales avoid land masses, the Humpbacks follow the coastline reasonably close to shore, which makes them an ideal species for whale watching and rendered them an especially vulnerable species in the days of whaling. In winter, Antarctic food becomes scarce and the waters become far too cold for these warm-blooded animals. The cold would kill any the new-born calves as they are born without the insulating layer of blubber. To ensure the survival of the calves, the mothers produce 600 litres of extremely rich milk per day. The calves will put on approximately 45 to 60 kilograms per day. 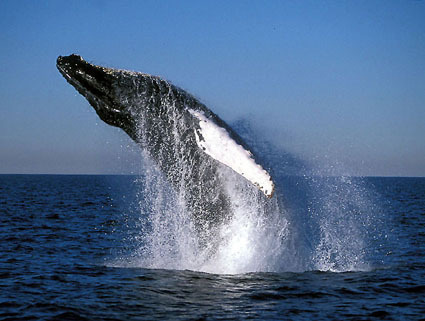 The whales do not depart en masse but flow in and out of their breeding waters over a five-month period. As they travel they do not actively feed, except perhaps on occasional prey that may cross their path. Young calves making their first migratory journey back to Antarctica are particularly vulnerable to natural and unnatural forces. They are the most likely to fall prey to sharks and Killer whales and the most likely to die of exhaustion. The calves manage to conserve their energy by riding the slipstream of their mother’s wake. The young calves position themselves just behind their mother’s widest diameter and just below and beside her dorsal fin. The water flowing between their bodies increases in velocity and decreases the pressure in the area, enabling the young calf to keep pace with an adult with only 75% of the effort. While there are no gaurantees it is likely that guests joining a Discovery Tour or even a Best of the Best Wine Tour may have the opportunity for whale spotting from high above the Wilyabrup Cliffs.